Chani has read 3 of 50 books. Chani read 117 books of her goal of 100! Chani read 138 books of her goal of 100! Chani read 103 books of her goal of 80! Chani read 50 books of her goal of 50! Chani majored in Creative Writing at Johnson State College in Vermont. To pay her bills, she has worked many odd jobs, including, but not limited to, telemarketing, order picking in a warehouse, and filling ink cartridges. When she isn’t writing, she’s binging TV shows, drawing, or frequenting zoos/aquariums. 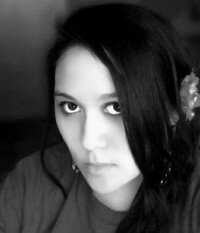 She is the author of the Xenith trilogy, and the teen paranormal series, The Underworld Saga, originally written under the penname Tempest C. Avery. She currently resides in Connecticut. To ask Chani Lynn Feener questions, please sign up. I was just wondering if Between Frost and Fury was a sequel to Amid Stars and Darkness (the titles have the same vibe)? I loved the first installment of the Xenith Trilogy and am desperate for the second (I really need some more Trystan). Also, if not, do you have any idea about when the next of the Xenith Trilogy might come out? Love your books! Chani Lynn Feener Hi! Thanks for asking! Yes, it is! I haven't officially announced it, but hope to soon! Glad you liked ASAD (and Trystan)! I don't know about you, but I've been having trouble for months now with this blog. Whenever I try to access it, it leads me straight to an ad page. Not fun. So, after years of running this blog, I've decided to move elsewhere! You can now find me over at https://chanilynnfeener.wixsite.com/a... !!! We’d love your help. Let us know what’s wrong with this preview of Dreadnought by April Daniels. We’d love your help. Let us know what’s wrong with this preview of A Love Letter to Whiskey by Kandi Steiner. We’d love your help. Let us know what’s wrong with this preview of Revelry by Kandi Steiner. We’d love your help. Let us know what’s wrong with this preview of Bright Burns the Night by Sara B. Larson. We’d love your help. Let us know what’s wrong with this preview of Royal Replicas by Michael Pierce. We’d love your help. Let us know what’s wrong with this preview of Dark Breaks the Dawn by Sara B. Larson. “I tortured people…” she said. “Sometimes we fall in love and end up losing ourselves. We allow ourselves to become different people. But we have choices, Lily. We can choose to find the person we used to be, the person we really are. Or we can continue on as this new being." Xyra wrote: "I love how you emphasized the "it's unedited...there are grammatical mistakes" in your announcement of The Coven Trilogy #1 being available. Made me smile with knowing. :-D ;-)"
Yes! Well, I really wanted to take it down, to be honest. I mean, I wrote it for fun back when I was younger and never intended for it to really go anywhere. It was sort of just a fun project for when I got writers block on my more serious stuff. Then it was transferred from an old computer to three different lap tops that didn't have the same font and the grammar got even worse because it altered words and...it's terrible. So, I wanted to take it down but people were very adamant they loved it and I felt bad, hence the disclaimer. Lol. At least that way people know what they're getting into! I shall have to check out some of your works. ;)"
I finished book 3! Hope to get a review up tomorrow! Will say there's a lot more strength in this book than the previous! I fricken loved it (the ending was a bit abrupt though). I'll be messaging you with those questions for the blog within the next few minutes hopefully!